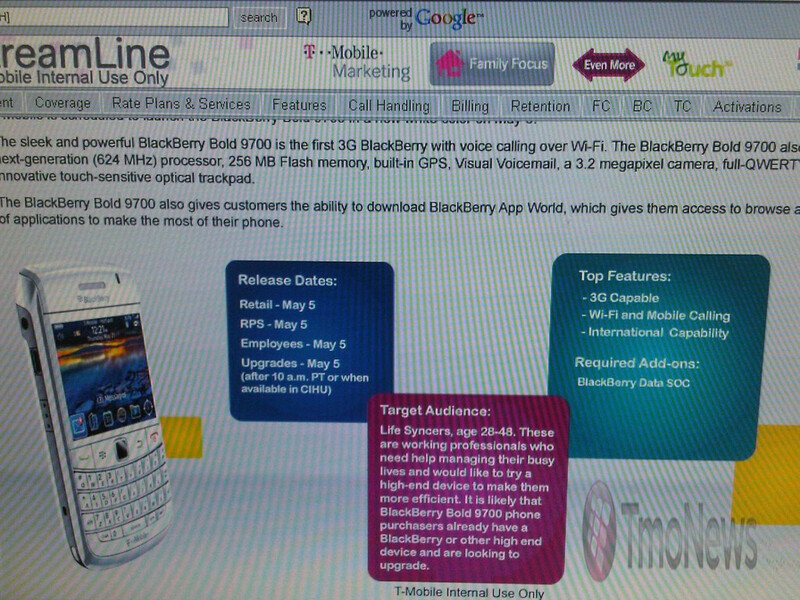 T-Mobile to start selling the BlackBerry Bold 9700 in white? After a little bit of waiting time, the white version of the BlackBerry Bold 9700 is finally make its way to North America. Even though Rogers is still lined up to see this device shortly, T-Mobile is now looking to be the next carrier in North America to pick up this bright looking smartphone. There was a leaked document that shed some light on the handset's arrival with T-Mobile, but unfortunately it did not provide any hints regarding its pricing – it'd be a bit unheard of if they ever so slightly up the price from the current one they offer; especially since the only thing different about it is the new paint job. Customers who are anticipating this handset can circle May 5th – that's when it looks to be available through T-Mobile's sales channels. To make things even better, it looks like the handset will qualify for T-Mobile's existing BOGO offer – which conveniently was recently extended until May 9. Not a big BB fan anymore but that is a nice color!